Hydraulic cylinder and jacks are Hydraulic actuators that are used to give a linear force through a linear stroke. These used for lifting purposes. 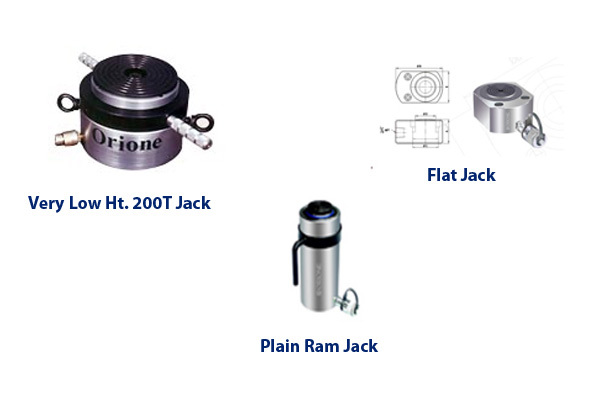 We deal in Orione’s Plain Ram, Screwed Ram, Hollow Jacks, Flat Jacks and Short Ht. Jacks. Hydraulic cylinder & jacks available in single acting/double acting – Spring Return / Oil Return. The capacity available is 5 tons – 500 tons. Power packs are designed and manufactured using the latest design and manufacturing technology. It is capable of providing supreme quality service for long time. 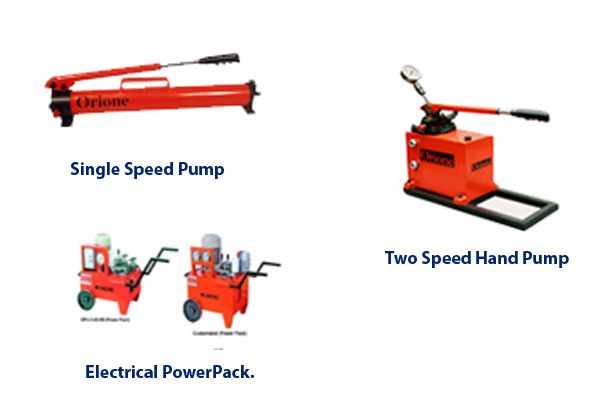 Hydraulic Hand Pumps are available in Working Pressure 350, 700, 1000 & 1400 Bars. These are available in Single Speed or Two Speed and in various reservoir capacities. Hydraulic Puller is available for a wide spectrum of light to heavy-duty pulling task. 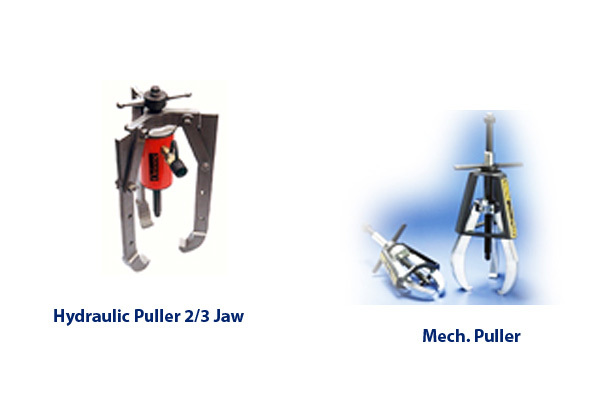 It is available in 2 and 3 Jaws and its spreading range is from 10-500 mm. It has a capacity up to 30 tones.Puller comes in three varieties: Mechanical, Self- Contained and Normal Hydraulic Pullers. Hydraulic Press performs a variety of production and maintenance jobs — bending, straightening, holding, pressing, Installing and removing gears, pulleys, pins, bushings etc. 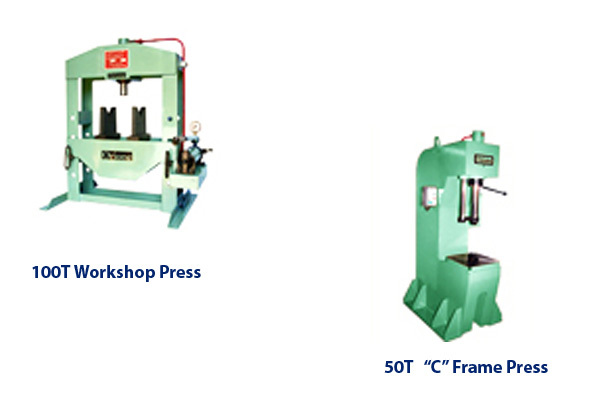 Hydraulic Presses are available in Workshop Type, ‘C’ Type, Closed Frame type and Pillar Type .It is Power / Manual Operated and comes with a capacity of 1000 Tons.